LiPOLY’s PK223 is a material designed for gap filling. The thermal conductivity is 2.0W/m*K. The hardness is Shore 00/30 with high flexibility, high compressibility, highly insulating, great self-adhesive, which can cover the tolerance of design making it very stable. It also offers customized shape molding service. LiPOLY’s PK404 is a material designed for gap filling. The thermal conductivity is 4.0W/m*K. The hardness is Shore 00/40 with high flexibility, high compressibility, highly insulating, great self-adhesive, which can cover the tolerance of design making it very stable. It also offers customized shape molding service. LiPOLY’s PK605 is a material designed for gap filling. The thermal conductivity is 6.0W/m*K. The hardness is Shore 00/60 with high flexibility, high compressibility, highly insulating, great self-adhesive, which can cover the tolerance of design making it very stable. It also offers customized shape molding service. LiPOLY’s PK700 is a material designed for gap filling. The thermal conductivity is 700 W/m*K. The hardness is Shore 00/55 with high flexibility, high compressibility, highly insulating, great self-adhesive, which can cover the tolerance of design making it very stable. It also offers customized shape molding service. 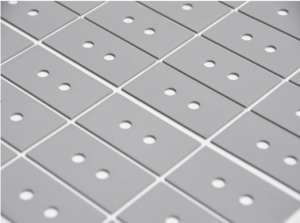 LiPOLY’s S282 is a thermally conductive pad designed for gap filling. The thermal conductivity is 1.7 W/m*K. It uses fiberglass cloth as the reinforcement material with great self-adhesive that can fit closely with non-flat heat sinks to increase the contact area. The low stress damped vibration, and shock absorption is an outstanding electric insulating material. LiPOLY’s S393 is a thermally conductive pad for gap filling. The thermal conductivity is 2.2W/m*K. The material has great self-adhesive that can fit closely with non-flat heat sinks to increase the contact area. The low stress damped vibration, and shock absorption is an outstanding electric insulating material. 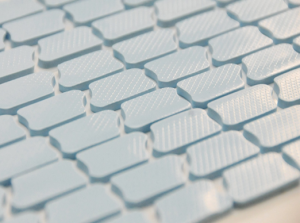 LiPOLY’s S818 is a thermally conductive pad designed for gap filling. The thermal conductivity is 3.2 /5 W/m*K. The material has great self-adhesive that can fit closely with non-flat heat sinks to increase the contact area. The low stress damped vibration, and shock absorption is an outstanding electric insulating material.